Grey Pneumatic 26-Piece 1/2 in. 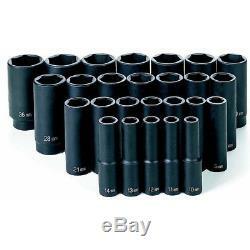 Drive 6-Point Metric Deep Impact Socket Set. Drive 6-Point Metric Deep Impact Socket - 2010MD. Drive 6-Point Metric Deep Impact Socket - 2011MD. Drive 6-Point Metric Deep Impact Socket - 2012MD. Drive 6-Point Metric Deep Impact Socket - 2013MD. Drive 6-Point Metric Deep Impact Socket - 2014MD. Drive 6-Point Metric Deep Impact Socket - 2015MD. Drive 6-Point Metric Deep Impact Socket - 2016MD. Drive 6-Point Metric Deep Impact Socket - 2017MD. Drive 6-Point Metric Deep Impact Socket - 2018MD. Drive 6-Point Metric Deep Impact Socket - 2019MD. Drive 6-Point Metric Deep Impact Socket - 2020MD. Drive 6-Point Metric Deep Impact Socket - 2021MD. Drive 6-Point Metric Deep Impact Socket - 2022MD. Drive 6-Point Metric Deep Impact Socket - 2023MD. Drive 6-Point Metric Deep Impact Socket - 2024MD. Drive 6-Point Metric Deep Impact Socket - 2025MD. Drive 6-Point Metric Deep Impact Socket - 2026MD. Drive 6-Point Metric Deep Impact Socket - 2027MD. Drive 6-Point Metric Deep Impact Socket - 2028MD. Drive 6-Point Metric Deep Impact Socket - 2029MD. Drive 6-Point Metric Deep Impact Socket - 2030MD. Drive 6-Point Metric Deep Impact Socket - 2032MD. Drive 6-Point Metric Deep Impact Socket - 2033MD. Drive 6-Point Metric Deep Impact Socket - 2034MD. Drive 6-Point Metric Deep Impact Socket - 2035MD. Drive 6-Point Metric Deep Impact Socket - 2036MD. Increased strength transfers the pressure from the thinnest part of the socket wall toward the thicker section, resulting in increased strength. Increased torque allows up to 20% more torque to be applied than on standard hex impact sockets. A reduction in wall thickness increases socket's capability of being used in tight areas. Sockets grip the fastener across a broader contact area, reducing the chance of rounding off fasteners. WHY OUR CUSTOMERS KEEP SHOPPING WITH US. SECURE & HASSLE FREE SHOPPING. We are available 7 days a week. All corded products are designed to work with North American 110/120V outlets only. The item "Grey Pneumatic 26-Pc 1/2 Drive 6-Pt Metric Deep Impact Socket Set 1326MD New" is in sale since Monday, January 8, 2018. This item is in the category "Home & Garden\Tools & Workshop Equipment\Air Tools\Ratchets & Wrenches".